I bet you're wondering why I've been so MIA... well the answer is simple, I've been busy living out of a suitcase. Seriously, it's been 2 months since we packed up our Toronto home to make the big move to Chicago, and since then we have been living in a state of limbo. We wanted to re-do the floors, paint the whole condo/townhouse from top to bottom and also take a couple of weeks to travel to Europe for a much needed vacation. I have been itching to post before and after photos, but alas, there are no after photos yet. Give me a few more weeks, and I'll hopefully wow you with the changes that are going to take place. For today's post, I am posting photos of some of the ceiling fans out in the market that I've had to familiarize myself with. 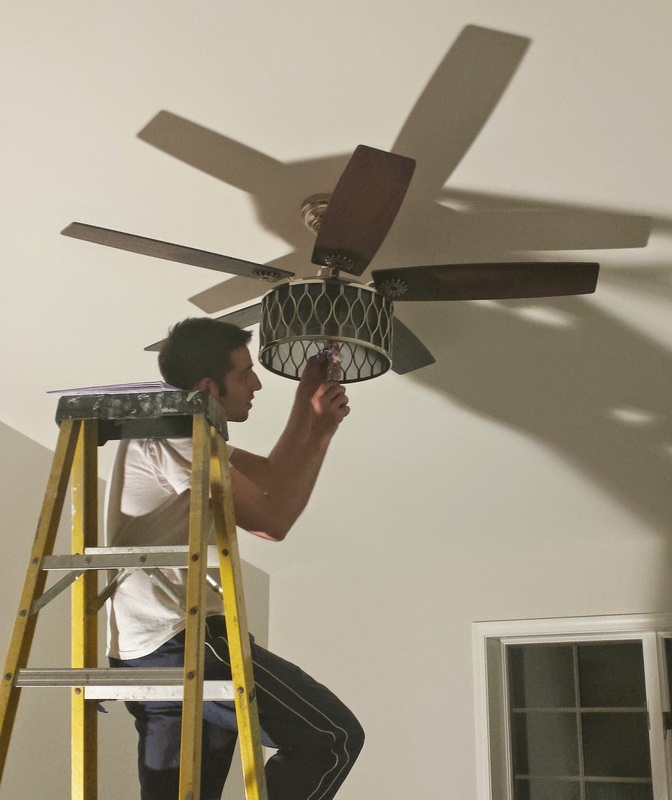 I have always hated ceiling fans. They look dated, collect dust, and don't have the charm of chandeliers. Unfortunately for pretty chandeliers, our ceilings are just way to high, and they seem to trap air like a gassy belly after a night of binging on junk food. 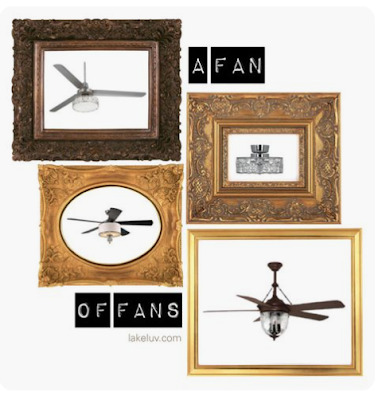 Fortunately for me, once I took down the dated, oak and brass fans that were already up, I was able to find a whole series of amazing ceiling fans that were both functional and full of charm. The photo below is of the fan I found for our Master Bedroom. I picked this baby up at Lowe's for only $139 and lucky hubby got the chance to spend an hour installing it. I'll wait to give you the full bedroom reveal once the whole room comes together. Be sure to stay tuned for the big reveal!